Distinguishing Characteristics African-American male. Black hair, brown eyes. Bobo has a tattoo of clown masks on his left arm and a tattoo of angels and clouds on his right arm. 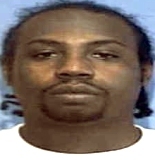 Bobo was last seen in the vicinity of west 24th Street and Chester in Little Rock, Arkansas at 8:00 a.m. on November 1, 2007. He was driving a black 1998 Mercedes-Benz C320 with the Arkansas license plate number 836JFX at the time. He was supposed to go to a car auction that morning, but he never arrived and has never been heard from again. A few days later, Bobo's car was found abandoned in a field in St. Francis County, Arkansas, with his blood inside. Foul play is suspected in Bobo's disappearance. He left behind a young daughter. 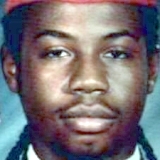 His case remains unsolved. Updated 4 times since October 12, 2004. Last updated June 8, 2018; date of birth added.